Good morning and happy World Egg Day! If you keep chickens you probably like eggs, and fresh eggs from your own hens are so tasty that they’re worth celebrating every day. But today is eggstra special. Today the whole world unites in honour of the humble egg. No matter where you live or what time of the day it is, a simple egg can be the source of a cheap, nutritious and delicious dish. From cakes to meringues to a poached egg on toast, eggs are both a key ingredient and a star of the show. We love them. You love them. So make sure you celebrate World Egg Day with one eggstraordinary breakfast. Since starting out in 2004 Omlet have delivered thousands of Eglus and an awful lot of chickens. Laying an average of six eggs a week, we’ve calculated that our hens have laid over 30 million eggs over the last decade. That’s one heck of an omelette! As you can imagine, with all this eggsperience, we’ve seen eggs of all shapes, colours and sizes, but today we are on the hunt for something eggstra special… will you help us find the heaviest egg laid on World Egg Day? We’ve teamed up with our friends at the British Hen Welfare Trust to launch a cracking competition to celebrate World Egg Day. We call it The Great Give-a-Weigh, and it works a little something like this. When you collect your eggs this morning, weigh each one before poaching, boiling or frying. 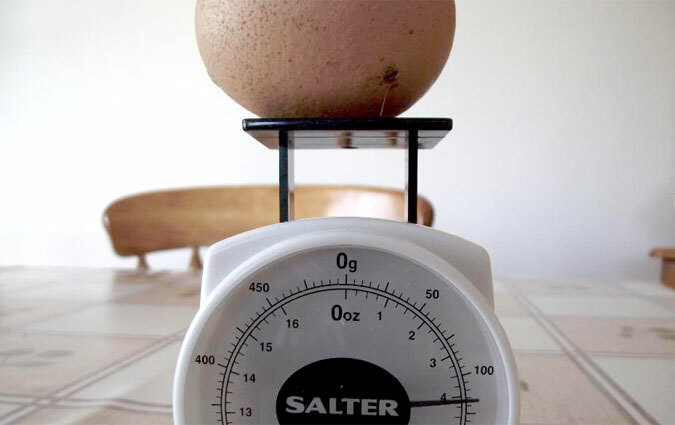 Take a photo of the egg on the scales, showing the weight, and send it to us. (The photo, not the egg!) We will convert the weight of the heaviest egg laid today from grams into pounds and donate it to the BHWT, and the owner of that winning egg will be treated to a goody bag full of eggcellent Omlet treats. World Egg Day is the perfect day to assess your egg storage. If you keep chickens the likelihood is you have a lot of eggs, and it can be difficult keeping track of how old they are. Some people like writing the dates on, some try storing them in piles of egg boxes, and others go for the easy option of using an Egg Ramp. 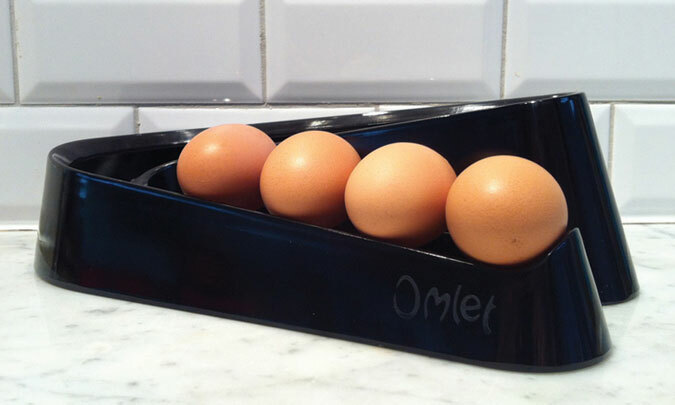 Simple and stylish, the Egg Ramp will solve your egg storage problems. No need to date your eggs, just add fresh eggs to the back of the queue and take them from the front. 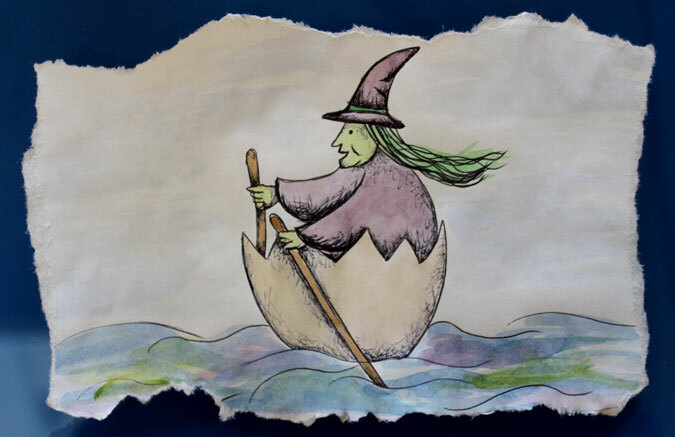 As you remove an egg, the others will roll forward, leaving space for the next eggs to be added. 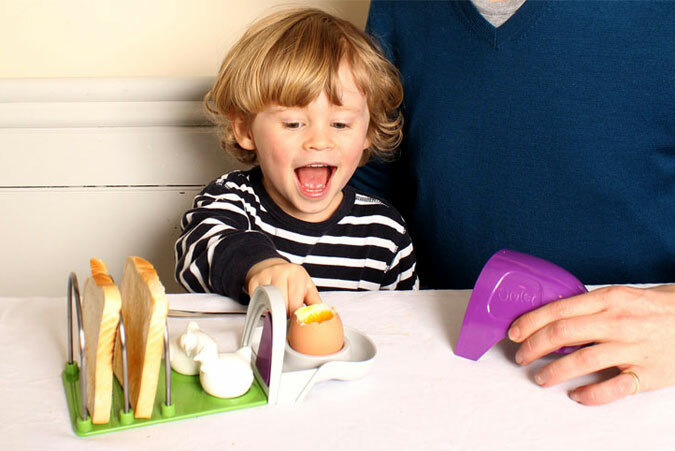 It stores a dozen eggs and you’ll always use the oldest eggs first, ensuring you never waste one again. This eggcessory looks great too. It takes up little space on the kitchen worktop, comes in four classy colours and, made from melamine, you’ll find it quick and easy to clean. Why not celebrate World Egg Day with a sweet treat? 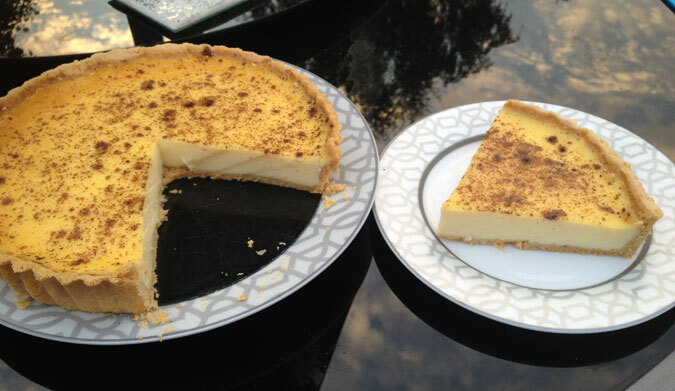 This gorgeous recipe for a glorious Egg Custard comes from last year’s Great Omlet Bake Off entrant Kevin Harris. Simply delicious! 5) Put some baking paper cut into a circle inside the case and some baking beans and bake in oven at 170 degrees(fan oven) for 25 minutes, removing baking beans for last 5 mins. Pets are brilliant, which is why we were eggcited to launch Omlet’s first Peinture Pet Competition last month. Your challenge was to create a portrait of your much-loved pet, in any media, for a chance to win a fantastic prize. Well, let’s just say you did not disappoint! Not that we weren’t eggspecting great things, but your creations had us gob smacked. Paintings so realistic they looked like photos, detailed portraits styled with sticky tape and characters so carefully cross-stitched they had us cross-eyed. We were thrilled to have such a marvellous response so thank you to everyone that entered. Congratulations to our winner Sue Saunders. 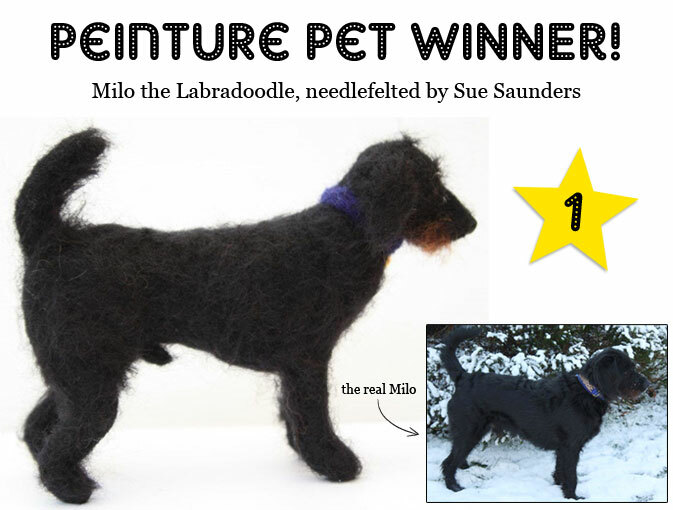 Her needle-felted model of Milo the labradoodle is realistic (it really does leave nothing to the imagination) and full of character. Her creativity has earned her a £100 Omlet voucher, which she is going to use towards upgrading her Eglu Go to a Go UP. Omlet will be donating £100 to Sue’s chosen charity, The Doodle Trust. They rescue oodles of labradoodles and poodles and she has been involved as a homechecker for them. There were two other entries that really stood out to us. 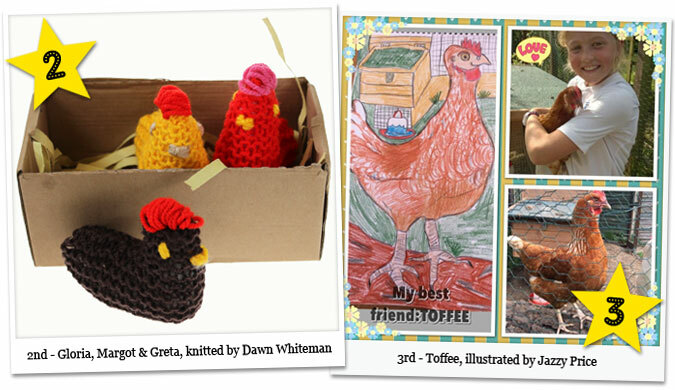 Dawn Whiteman’s beautiful trio of knitted hens, complete in shredded paper nest are so cute and colourful they’re now permanent residents of Omlet HQ, and Jazzy Price’s cracking caricature of her favourite chicken Toffee is fantastic. Dawn and Jazzy will be receiving Omlet goody bags shortly. 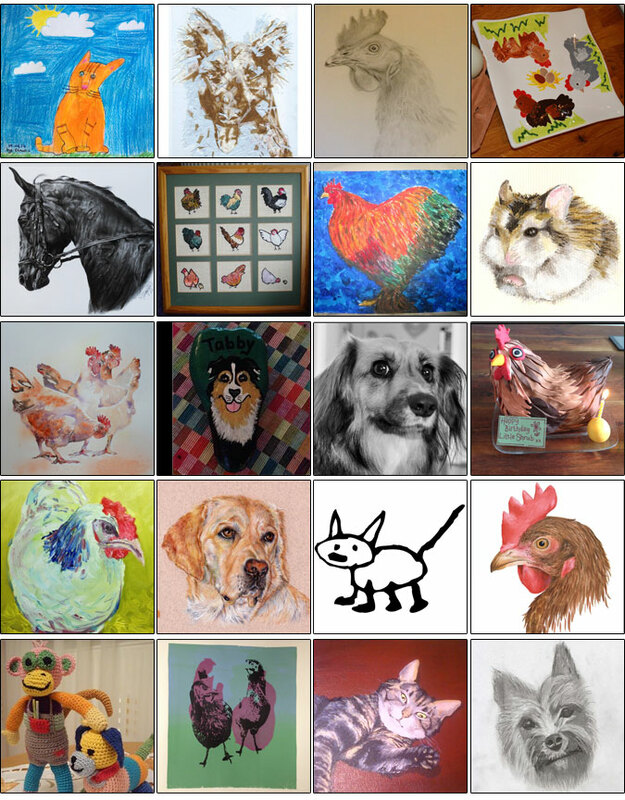 These are some of the other Peinture Pet entries we received. Thanks again to everyone that entered, and to all those beautiful pets that inspired your artwork! 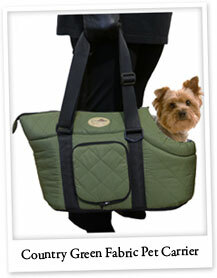 Country Green Fabric Pet Carrier – Perfect for taking your pet dog with you wherever you go. The padded interior makes it comfy cosy for pets, and the solid, anti slip base with removable padded cushion is a fantastic feature. Other features include a collar clip attachment, detachable water bowl and removable shoulder strap. 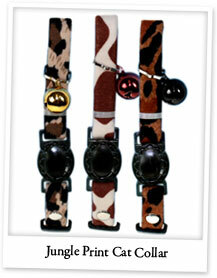 Jungle Print Cat Collar – Is your cat king or queen or the jungle? Then treat it to an accessory that will show all the other moggies who’s the boss! Not only does this jungle print collar look fabulous, but it will make your feline stand out from the crowd pawfectly! This collar is fully adjustable and has quick release safety buckles. 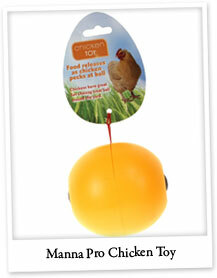 Manna Pro Chicken Toy – Fill this toy with corn, feed or a treat mix and watch your chickens have fun chasing the ball around the garden. As the ball moves, small quantities of the treat will be released through holes on either side, which hens will love to peck at. They’ll soon learn to move the ball in order to release more treats.